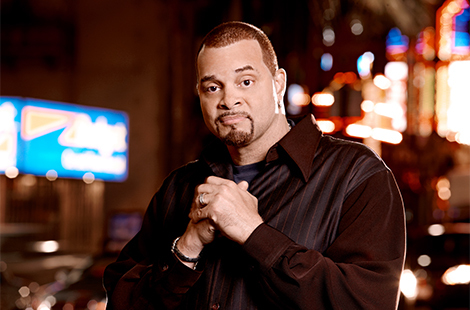 Legendary comedian Sinbad sat down for this exclusive Q&A and gave a taste of what fans will see when he opens the VPAC's 2014-15 season with his Sept. 18 performance. Read more about Sinbad. Students who attend CSUN come from a variety of backgrounds, and many of them balance school and work. Brian Dinelli ’76 (Geography) taught flying lessons to chart his course to the Matador graduation stage. Read more about Dinelli. Beating drums and screaming at the top of their lungs, Matador fans brought plenty of passion to match the steamy temperatures in the CSUN men's soccer home opening weekend, which ended in a split with New Mexico and Bradley. Read more about soccer. Fri., Sept. 19, 6 p.m. Thur., Sept. 25, 7 p.m.
Tues., Sept. 30, 7:30 p.m. Alumni, faculty, staff and friends are invited to attend the annual Founders’ Day celebration. Alumni who earned their degrees in 1964 and faculty and staff who worked at CSUN during that time will be inducted into the 50-Year Club. Join the BAA at its first scholarship and awards event honoring CSUN Vice President William Watkins, the founders of the Department of Pan African Studies and H.O.P.E.’s House pastors Charles and Andrea Humphrey and Fluke Fluker, co-founder of the Village Nation. The Chinese government has awarded 10 CSUN students and alumni full scholarships to study at some of China’s top universities this fall.